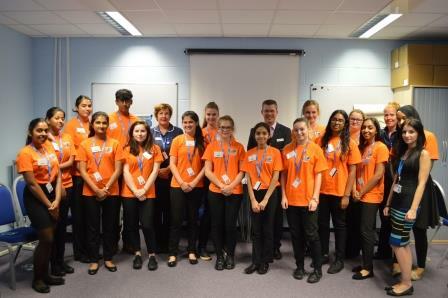 Milton Keynes University Hospital play an active role in recruiting and supporting apprenticeships across the Trust. Apprenticeships are a fantastic way to gain an industry recognised qualification alongside your normal job role and you are able to benefit from gathering an insight into your next potential career. If you are looking for an apprenticeship opportunity within the NHS, please see the NHS Jobs site here. Alternatively, if you are a member of staff, please contact the Learning and Development team. Work experience opportunities are open to students aged 16-18 years old, who attend a local secondary school, or live within Milton Keynes. If you are over 18 years old, we cannot currently offer work experience. Alternatively, you could consider volunteering. There are also a number of ad-hoc work experience opportunities, subject to availability in an area of interest. The Trust considers all applications for work experience. Due to the high demand for placements, we have to give priority to applicants who either live or attend an educational institute in the Milton Keynes area. In the school holidays we offer a 5 day Clinical Work Experience placement. We can only accept applications from students aged 16-18 years old. As there is high demand for these placements, we shortlist applicants based on their personal statements and if they meet eligibility criteria. All schools witihn the local area will receive information nearer to the time of the programme. Please liaise with your careers advisor for the details. As well as our 5 day clinical work experience placement, Physiotherapy can now also offer a placement. This is a two day placement (Tuesdays and Wednesdays) for those who are studying sports science or similar qualifications. This is open to anyone over 16, however if you are over 18 you must supply us with a DBS at your own expense. Character reference from a tutor , on headed school paper. A placement cannot commence without all the required documentation. Due to the need to protect students from potentially upsetting situations, the need to safeguard patient confidentiality and Health & Safety concerns – the following areas do not offer work experience placements: Mortuary, Theatres, Department of Critical Care, Paediatrics, Children’s Services and any unit that requires a Disclosure and Barring Service Check. Please be mindful of this when specifying areas when applying. All work experience applications must adhere to the correct process and have their attendance authorised by the Learning and Development Team. This is not only to protect the Trust and its patients but also the student that is coming into the Hospital. Work experience is an important part of our widening participation within our local community. It is our aim is to help raise the aspirations of students and for them to gain an insight into all the careers within the NHS. What have we done in the last year? During the last year we have supported over 140 students to complete work experience opportunities within the hospital. Our work experience programme has also been audited and has achieved a Quality Award, Bronze Standard, in recognition of the quality of our work experience. Interested? Contact us on 01908 995081 or 01908 995109. You can also contact us via email at [email protected].